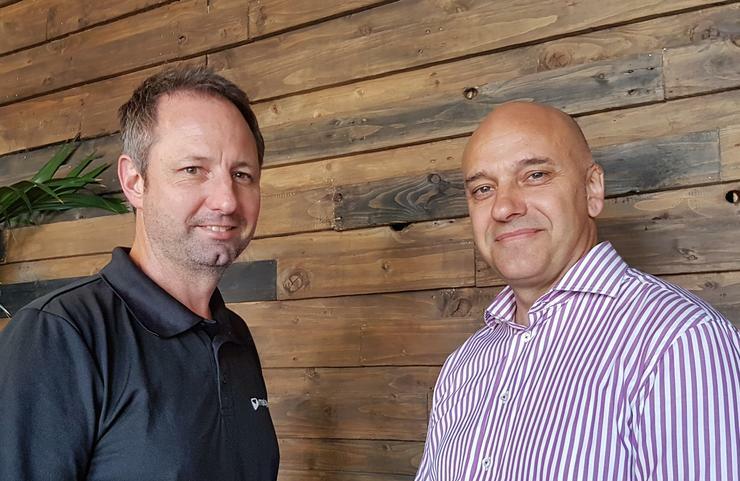 MailGuard CEO, Craig McDonald (L), and the company's new global director, sales and channel, Colin Garro (R). MailGuard is set to boost its local and international channel play, with Red Hat’s former local channel sales and development director, Colin Garro, stepping in as the company’s new sales and channel global director. The Australian cloud web and email security vendor said that the freshly-created role will see Garro take the lead on strategic alliances and the pursuit of new markets, as MailGuard continues to expand its international footprint. For Garro, who headed up Red Hat’s channel business in Australia and New Zealand for almost six years after spending 14 years in various roles with Microsoft Australia, the move represents an opportunity to develop new channel initiatives for MailGuard’s partner network. “I am impressed with MailGuard’s strong channel partnerships,” Garro said. “Those relationships are vital to serve customers and to continue the growth of the business. “Working with the MailGuard team, our aim is to ‘sell with’ partners, and to create programs that our channel can leverage to accelerate sales and speed to market,” he said. One of Garro’s goals during his time with Red Hat was to see the company’s indirect business in Australia fall further in line with its global channel business mix which, as of 2016, saw about 70 per cent of total revenues come from indirect sources. In late 2016, Garro told ARN that he was hoping to see the company’s local operation get to a 50/50 split between direct and indirect business revenue. When Garro began working at Red Hat Australia in 2012, a large part of the open source software vendor’s local revenue was from direct sales, rather than channel-based activities. Over the course of his tenure with Red Hat, however, that ratio began to change. Garro’s departure from Red Hat’s ranks sees the open source software company on the hunt for a new channel sales lead for its local operation.